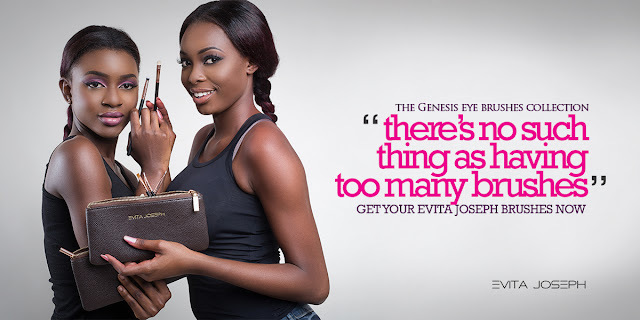 Ghanaian beauty brand, EvitaJoseph, unveils its Genesis Eye Brush Collection, the first ever of its kind in Ghana. Designed by elite makeup artist Evita Joseph, she recognized the unavailability of quality eye brushes on the Ghanaian beauty market hence the inception of the Genesis Brush Collection. Amped with the desire to see Ghanaian women excel at personal makeup application, she put her experience derived from makeup artistry into carefully designing the collection. So my bestie Millie claims i'm a natural hair product junkie which i vehemently refuse! Well junkies never admit they have a problem because to them they do not see any problems right? I vehemently refute that! So i decided to put all the products i currently have in my rotation together so that you can help me decide if i'm a product junkie or not. It's been a while since i last did a natural hair post. Well that's because i have been protective styling. See previous posts for pictures. So before i installed my protective style i received the basic set from Eya Naturals. Imagine my joy when Sharon of Eya Naturals, whom i met at Afrotastic, told me to expect something! Upon receiving the package i realized it was the entire basic essentials set! I was like early Christmas gifts or nah? !